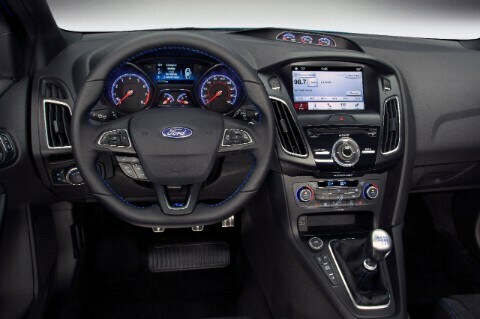 For 2016, the Ford Focus returns with a new Sync technology interface, a six-speed automatic transmission for the available 1.0-liter EcoBoost engine and minor adjustments to available options packages. You've likely been told how important it is in life to "think big." Well, we're here to suggest that you flip that familiar platitude on its head and instead try "thinking small." Specifically, we're thinking about the 2016 Ford Focus, a car that delivers a sophisticated day-to-day driving experience that's a big deal among compact cars. The sheetmetal and profile of the current Focus fits right in with the rest of the Ford model lineup, with its combination of side-sheetmetal creases and curves, contrasting with the smooth but rather aggressive front-end design. The rising beltline, as you move to the back, actually works just as well with the sedan here as with the hatchback, and it's complemented nicely with the bulging fenders in front and in back, echoing the arching roofline and create a very dynamic look from the outside. The huge taillamps might look a little odd and different from the side, especially in the hatchback, but they nicely frame the corner in both body styles. 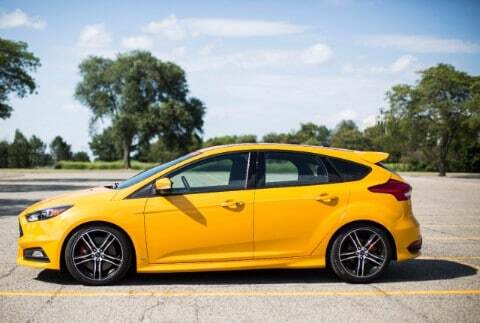 The 2016 Ford Focus comes standard with antilock brakes (rear drum brakes are standard on the S and SE; four-wheel discs are optional for the SE and standard for Titanium and Electric), stability and traction control, a driver knee airbag, front side airbags and side curtain airbags. The Ford Sync system includes an emergency crash notification feature that automatically dials 911 when paired with a compatible cell phone. A rearview camera and Ford's MyKey system (which can be used to set electronic parameters for inexperienced drivers) are also standard. 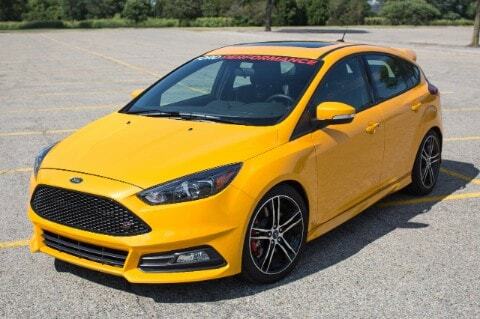 Give us a call today for more information on the 2016 Ford Focus!